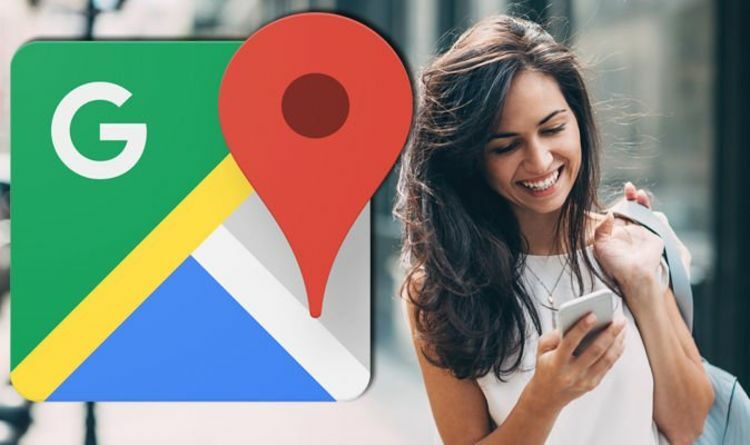 Google Maps is the American tech giant’s navigation software that is constantly updated with new features and improvements. Last year a swathe of upgrades arrived for users of the client on Android and iOS smartphones in addition to desktops. However, it appears Google is set to severely up the ante this year with a new augmented reality (AR) feature that will overlay directions and other information over a live camera feed. Initially announced at the firm’s I/O developer conference last year, the AR mode harnesses data from Street View to deliver the new functionality. “Let me paint a familiar picture; you exit the subway, you’re already running late for an appointment, or a tech company conference, and then your phone says ‘head south on Market Street’. “So what do you do? One problem, you have no idea which way is south, so you look down at the phone, you’re looking at that blue dot on the map and you are starting to walk to see if it’s moving in the same direction. “If it’s not, you’re turning around, we’ve all been there. Essentially, once the mode has been triggered a live camera feed will appear and AR graphics such as one prompting the user to turn a specific direction will be displayed for the user. A traditional Google Maps view will be present in a circular cutout at the bottom of the software, too. Google has already insisted the feature has been designed for walking and not driving due to possible safety issues. The Wall Street Journal recently tested out the feature and was keen to emphasised how accurate the new feature was and how its graphics made directions easy to follow. Moreover, it was also noted the Maps feature appears to be keen to preserve user battery life. It was discussed that lowering the user’s phone would take them back to a standard map view for instance and that displays would lower their brightness after a short period of time. Google is currently rolling the new functionally out to those that are part of its Local Guides programme. Local Guides is an initiative from Google that incentives people to share reviews, photos and other information about specific locations to make Maps more detailed overall. However, it is currently unknown when the new feature will arrive for all users of the lauded navigation software.